So you want to be a Pinterest strategist, huh? That’s awesome! Let’s dig in! If you ask 10 people how they became a Pinterest strategist, I bet all 10 answers are different. There are so many ways to learn the knowledge and skills it takes to become a Pinterest marketing strategist. 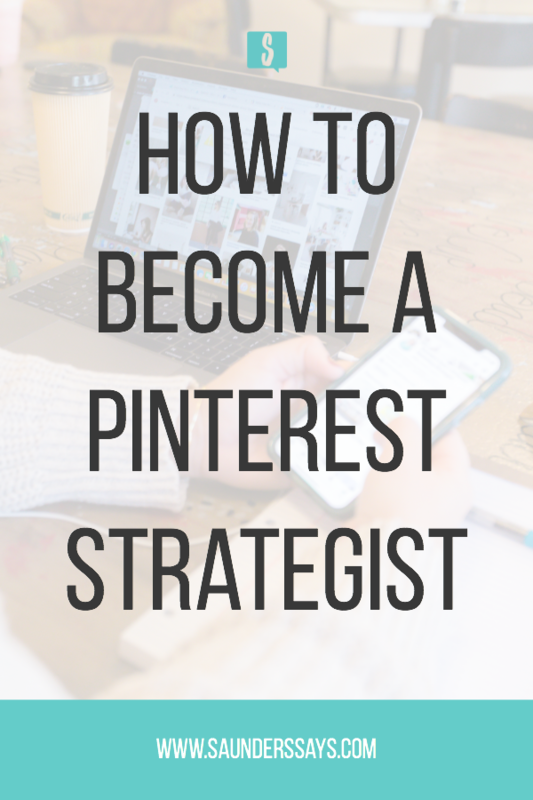 From being self-taught to investing in a program, there are so many options to learn how to become a Pinterest strategist. It is important to know your learning style and how much time vs money you want to invest. With an abundance of time, you can learn through teaching yourself. This is going to take a long time, but it is very economical. You will want to soak in as much knowledge as you can from listening to podcasts, watching YouTube videos, and reading blogs. Is Free Information Complete Information? All of this information is free. But, it is 100% complete? Probably not. You will also need to be very smart to learn how to piece-meal all of this information. When you’re learning on your own, there is no guide or instructions. After you’ve soaked up as much information as possible about Pinterest, you are going to have to figure out what’s next on your own. Sure, you can join facebook groups specifically for Pinterest strategists and ask questions. But without paying someone, are you sure you’re getting the best answers? If you have the money to pay for a course, this option is going to be a better use of your time and money. A course is going to provide a roadmap to ensure you learn all the things needed and in an order that works. Getting from point a to point b is much easier when you have outlined directions. That is basically what a course is – a manual to get you to your destination. With your end destination being becoming a Pinterest strategist, it is going to be a much quicker route when investing in a course. Having all the information in the order you need to learn it is not only going to help you learn quicker, but it’s also going to help you launch your business quicker. 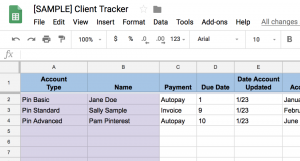 This, in turn, is going to help you making money faster! What’s even better than a course? A group coaching program! If you have the time and the money to really dedicate yourself to a group coaching program, I highly recommend it. Not only are you getting the information you need to become a Pinterest strategist, but you’re also going to have a built-in support network from your cohort and your coach. Coaching programs usually include some kind of live training, access to the coach, and a hub for you to connect with the other participants. This is pure gold. I’ve been a participant in a few group coaching programs and they had an immediate impact on me personally and professionally. Regardless of how someone becomes a Pinterest strategist, there are a few things that can help you along the way. Having determination, confidence, and the desire to learn is going to keep you going when things get tough. Learning a platform and launching a business is hard work. The more you are willing to fight for what you want, the more likely it is going to happen! Don’t know anything about Pinterest? What if you don’t know anything about running a business? You’re going to be fine. If you truly want something, you can do it. You just have to put the hard work in and find the best program for your needs and your budget. There are many ways to become a Pinterest strategist. It really depends on how much time and money you can dedicate to reaching your goals. Interested in a group coaching program? Well, I have one launching on February 18! I’m keeping it VERY small because I want it to be very interactive and supportive.